Feels nice to hear those words. 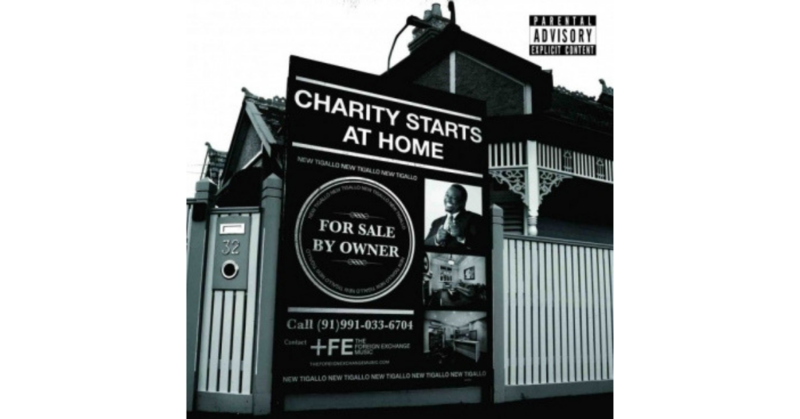 Charity Starts At Home is the name of Grammy® Nominated Foreign Exchange frontman and Little Brother alum – Phonte aka Phontigallo. This is Phonte’s first solo album and returns back to his hip hop roots. People have been yearning for the release of this album for quite a bit now and it is certainly worth the wait. Some wondered how Phonte would tackle his project on the whole. Would he be soulful or come straight with the underground gully sense we know and love? Phonte straddles between his rapper persona and the smooth cat singer, effortlessly spitting verses and singing choruses. With guests from Jeanne Jolie, Pharoahe Monch and Eric Roberson to name a few, along with production from 9th Wonder, Swiff D and E Jones (to name a few) – this album has a steady balance of grit, fire, passion and intensity. Beginning with “Dance in the Reign” featuring Sy Smith is a direct hit to your jugular with Phonte reminding you that he’s never left the scene and is still rocking the mic, ‘wearing his silk apron, letting them boys sautée.’ Unfortunate for them, they have no idea what’s on the menu. The fabulous loop on “Not Here Anymore” courtesy of 9th Wonder, with Phonte doing double time on the hook, is phenomenal. Elzhi adds his play on words and compliments Phonte’s straight-laced and spiked flow with his aggressive uppercut punch type of flow. The combination is ludicrous and delivers a phenomenal track. Personal favourite “Ball and Chain” takes everything to a whole other level. From the lyrics to the perfect beat from Swiff D – it really couldn’t get any better. But indeed, it does. “Gonna Be A Beautiful Night” featuring Carlitta Durand is splendid. It’s a track that would do extremely well if released as a single. It is pretty much reminiscent of something you would hear on a Foreign Exchange album. A noteworthy and polished, mid-tempo ditty that you just can’t help but groove to. Getting back to the gritty, Pharoahe Monch and Phonte bring the heat in “We Go Off” but just as it gets crazy and the excessive head nods begin – the track is done. A solid minute more could have taken the track to higher highs. To end the album with 3 stellar tracks – “We Go Off” featuring Pharoahe Monch, “The Life of Kings” featuring Evidence and Big K.R.I.T. and “Who Loves You More” featuring Eric Roberson leaves you longing for more. A few more tracks or even a second CD – ah, to dream a dream. To have beginnings in hip hop and finally come back home, is basically doing what your comfortable doing. However, Phonte doesn’t just have roots solely in hip hop but has a repertoire in soul/acid jazz/R&B music, coupled with extensive knowledge and love for music – period. The very perceptive ear can hear a bit of everything overlapping in each track. Harmonies, old school, pop, hip hop, jazz and everything except the kitchen sink, can be found on Charity Starts At Home. Phonte is definitely “Back with the new-new to tell you where [he] comes from…” It’s just up to you to take the journey.